The Washington state Department of Transportation starts work today on repairs to the Interstate 90 freeway viaduct and bridges over Third Avenue, near Liberty Park, in east central Spokane. 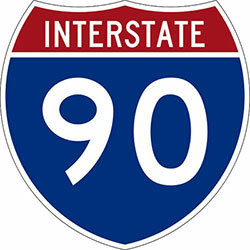 WSDOT will close lanes on I-90 and the Altamont Street ramps during parts of the project, which is scheduled to be completed by the end of June. For alternate routes around the construction go to spokanefreewayfix.net. 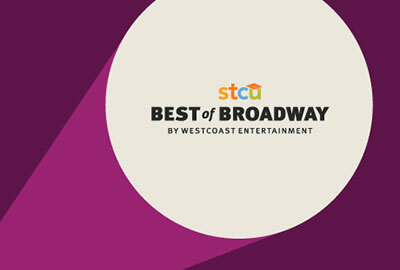 STCU is the title sponsor of the 2017-2018 Best of Broadway series, coming to the INB Performing Arts Center starting this October. The series, includes Something Rotten; Rent, the 20th Anniversary Tour; Motown The Musical; The Sound of Music; and Dirty Dancing, as well as bonus events. A big thanks to STCU for supporting the arts in our community. Go to wcebroadway.com for all the details. Brain Freeze Creamery will hold their First Annual People's Flavor Awards, Saturday, May 6 at 11am, at the Kendall Yards Welcome Center, 1335 West Summit Parkway. You get unlimited tastes for $7 and vote on the top 20 flavors submitted by customers. Go to brainfreezecreamery.com for tickets and more information. 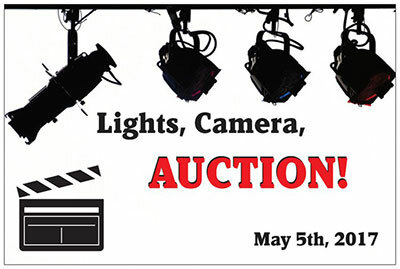 The 2017 Valleyfest Auction Dinner, 'Lights, Camera, Auction', is this Friday, May 5 at CenterPlace Regional Event Center, 2426 N Discovery Place in Spokane Valley. Doors open at 5:30pm. Dress up for your red carpet entrance! Evening fun includes free photos from the SFCC Photo Club, silent and live auction items, and dinner by Le Catering. Robyn Nance, KXLY TV, will be the emcee and Stu Lee will serve as auctioneer. The proceeds from the event provide a free Valleyfest festival in September, Cycle Celebration July and the Miss Spokane Valley pageant. For tickets and more information on Valleyfest, which will be held this September 22-24, visit valleyfest.org. BECU is partnering with the College Success Foundation - Spokane to supply College Ready Packs for more than 200 graduating Achievers Scholars who will begin college this fall. The College Ready Packs (similar to a care package) will be distributed at a May 10 CSF College Signing Day celebration honoring Achievers Scholars from Ferris, Lewis & Clark, North Central, Rogers and Shadle Park High Schools. BECU is donating $12,500 to fund the College Ready Packs, which will be a plastic crate filled with college-related supplies. The College Success Foundation (CSF) provides a unique integrated system of supports and scholarships to inspire low-income, underserved and first-generation students to finish high school, graduate from college and succeed in life. CSF-Spokane provides supports, programs and scholarship services to more than 1,200 middle and high school students in Spokane Public Schools. College Signing Day 2017 will be held Wednesday, May 10, from 6-7:30pm, at The Lincoln Center in Spokane. This invitation only event will include more than 500 guests gathered together to celebrate CSF - Spokane Achievers Scholars. Last year, CSF - Spokane Achievers Scholars committed to attend 19 different colleges, supported by hundreds of thousands of dollars in scholarships. For information about College Signing Day 2017 or to learn more about the College Success Foundation, contact Regional Executive Director Susan Joseph Nielsen, at snielsen@collegesuccessfoundation.org or 509-991-9151. This is the final week to explore the world of mammoths and mastodons in an 8,500 square foot traveling exhibition from The Field Museum of Chicago. 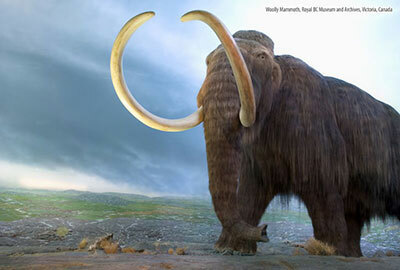 Live among these larger-than-life creatures for a day in this hands-on, interactive exhibition. Experience the world of the Ice Age through large-scale projections, walk-through dioramas, soundscapes, and virtual experiences. Visit northwestmuseum.org for more information. Tom Menighan, executive vice president and chief executive officer of the American Pharmacists Association, will be the keynote speaker at the WSU College of Pharmacy commencement, this Thursday, May 4, 1pm at the Martin Woldson Theater. 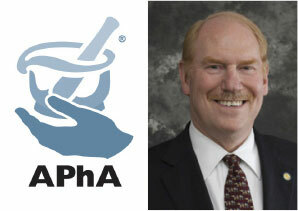 The APhA is the nation's largest professional association for pharmacists. The organization has led the initiative to see pharmacists recognized as health care providers, especially by insurance companies that routinely refuse to reimburse pharmacists for the growing number of services they provide. In 2015 legislation was passed in Washington requiring insurance carriers to recognize pharmacists in the same way as other providers. Menighan has been involved with the APhA for more than three decades and is a pharmacy owner and business entrepreneur. He founded several companies including a Medicine Shoppe pharmacy in West Virginia, and SynTegra Solutions Inc., a company that provided auditing, consulting and health technology services based in Maryland. He also founded SymRx Inc., developed CornerDrugstore.com, and is currently a partner in the multi-state specialty pharmacy chain Pharmacy Associates Inc. The reception begins at 5:30pm, dinner and ceremony at 6:30pm. Established in 2000 by Junior Achievement of Washington, Eastern Washington and Northern Idaho, the Business Hall of Fame celebrates the lifetime accomplishments of the region's most distinguished business leaders, both past and present. The Shugert Award was established to honor Bob Shugert, former president of Junior Achievement who was dedicated to empowering our young people to own their economic success. For more information about Junior Achievement, visit jawashington.org. Lemonade Day is a strategic lesson-based program that walks youth from a dream to a business plan, while teaching them the same principles required to start any big company. This program sparks the spirit of entrepreneurship and empowers youth to set goals and work hard. By teaching key analytical skills, financial literacy, and decision making, the Lemonade Day program fosters self-esteem and new mindsets that can propel youth to success. Lemonade Day is presented locally by the Greater Spokane Valley Chamber of Commerce. More than 45 businesses and organizations are currently supporting Lemonade Day through direct and in-kind sponsorships, providing locations for lemonade stands as well as volunteers. Over 230 kids across Spokane Valley have the opportunity to bring their business plan to life by running their own lemonade business, all on the same day. Come out and support these young entrepreneurs by buying lemonade on Saturday, May 20 - Lemonade Day! There will be a map of all the lemonade stands available online after May 15: greaterspokanevalley.lemonadeday.org/official-map. 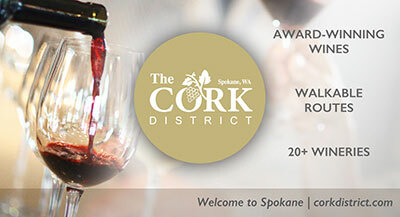 For more information, visit www.spokanevalleychamber.org. 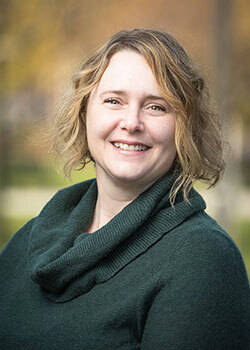 Jena Jauchius has joined SPVV Landscape Architects as a landscape architect. Jauchius, who previously operated her own studio, is a licensed landscape architect in Washington, Idaho, and Montana, and holds a LEED accreditation. She brings over 17 years' experience in streetscape design and transportation projects, park master planning and design, playground design, bike and pedestrian trails, K-12 and higher education, healthcare facilities, and public and institutional facilities. Jauchius holds a bachelor's degree in landscape architecture and a master's degree in landscape architecture, both from Washington State University. For more information about SPVV Landscape Architects, visit www.spvv.com. Spokane SCORE Chapter 180 presents a workshop this Wednesday, May 3 on How to Start a New Business. Learn step-by-step consideration of legal, tax, insurance, accounting, business planning, and funding topics that you need to address to successfully start a business. 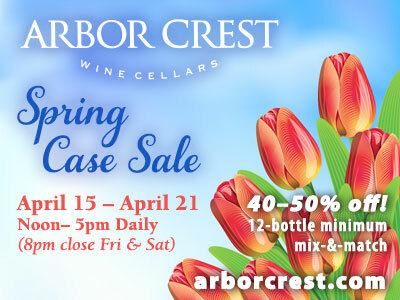 Presenter is Rob Rowley P.S., Attorney & Counselor At Law and entrepreneur. Workshop time from 8:30am to 12:30pm at the SBA Training Room, 801 W Riverside, Suite 444.